If there was ever a holiday to do some drunk cooking, it’s cinco de mayo. This is the easiest (but still impressive) thing you can bring to the party. Your better than store bought guac!! Heat oven to 350 ish. Get a cookie pan. Get a dozen or so nice size jalapeños. Straighter and plumper the better. Slice in half and use a knife to scrape out the seeds and pith (white stuff). Half a block of cream cheese and like 8 or 12 oz of shredded cheddar. Melt it in the microwave until it’s a gelatinous mass. Stir in maybe a teaspoon each of garlic powder, cumin, and coriander. 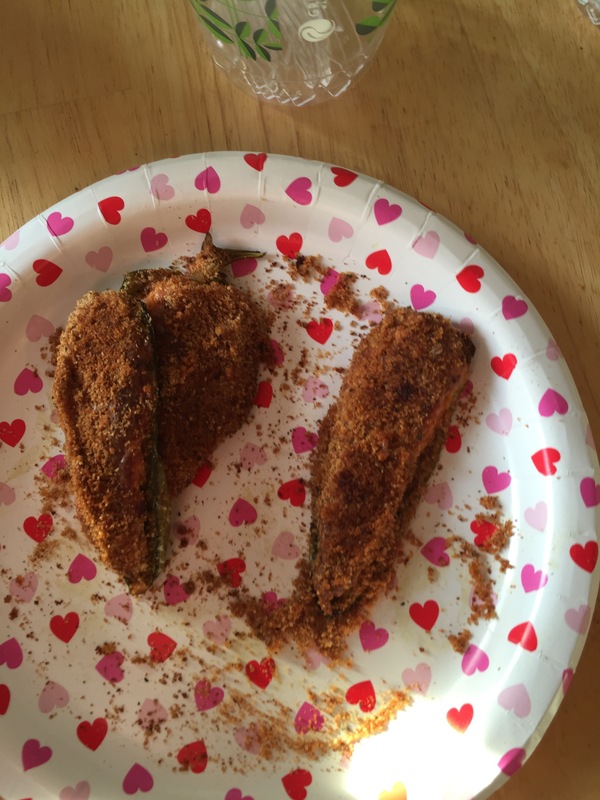 Taco seasoning works too if spices are just too….much….work. Using a spoon and your grubby little fingers, mush the cheese into the hollowed out pepper. Line up on tray and pour done Italian season breadcrumbs on top of them. Just plop it on. Stick in oven and cook until the breadcrumbs are browned, cheese is molton, and peppers are mushy. By now you should be on at least second margarita so eat up. Next Post Buy boots in May? Hell yea.